I love this quote from Zoltan Kodaly about teaching music. This "direct intuition" he talks about is a core part of the Kodaly teaching philosophy: everything is sequenced so that the child can take the next step of the learning process in the most natural way. One of the first discriminations children must learn is how to tell the difference between the rhythm and the beat. Being able to recognize and perform this difference on cue is crucial, since it's the basis for all the rhythmic work we do later. Sometimes this difference can seem vague and perhaps arbitrary to students. In fact, there are even many adults who don't understand the difference between rhythm and beat. For example, if you ask someone why they like a particular song, they might say, "I really like the beat". In reality they're not talking about the even, steady pulse of the beat. They're talking about the rhythm of the groove. It may be one of the most misunderstood - yet most simple - musical concepts. How can we, as Kodaly said, "pave the way for direct intuition" when it comes to rhythm vs beat? Keep reading! To prepare this aurally, write the name of several songs above on the whiteboard (I recommend this collection but you can use your own favorites too!). Sing through or play the games to the songs from this post. Then clap the rhythm of one of the opening lines and invite students to guess your "mystery song". This is where having a collection of songs with unique opening lines comes in handy! For preparing the song physically, pick your favorite of the five and ask students to sing it with you while you clap the steady beat. Then, invite them to "catch the words" as they sing. Demonstrate by holding your hands close to your mouth and clapping once for each syllable you sing. Some students get this instinctively but many need plenty of practice before they can do it without a model. 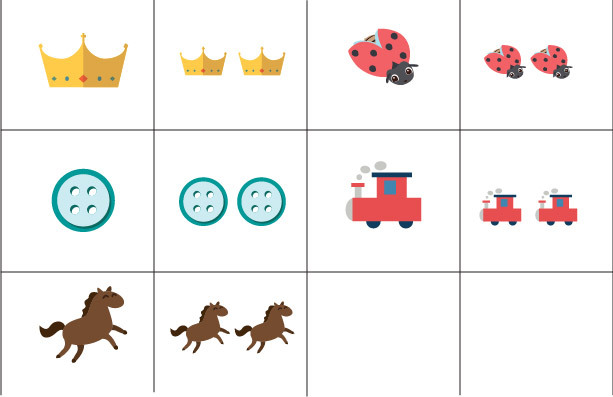 Use the printables from the Sheet Music Library to prepare rhythm vs. beat visually. Pick one of the songs represented in the printable and ask students to point to the hearts as you sing. Then switch and ask them to sing as they point to the icons. I've created these printables for you in color and black and white, as well as with and without words. To present, pick a song students already know and label the action they've already been doing. For aural practice, use an instrument like a glockenspiel or woodblock to play a phrase from one of the songs. 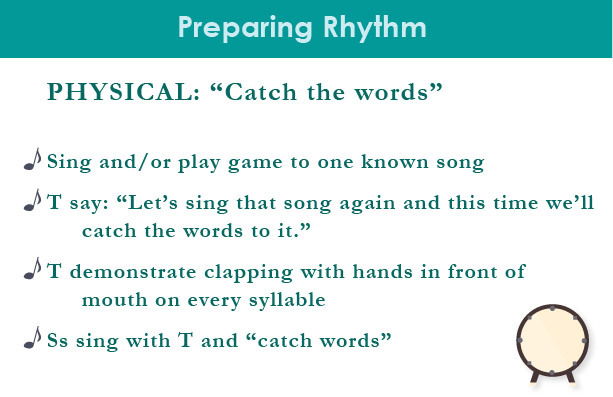 Ask students to tell if you were playing the rhythm or steady beat. You can also have a student volunteer to play the instrument and give him or her the instruction of playing either the rhythm or the steady beat. Pick one of the songs and ask the class to pat the rhythm while you sing. Then sing it again while they clap the rhythm. Divide the class in two and sing the song a third time - one group pats the beat and another claps the rhythm. You can get instruments involved here as well; kids love this activity! 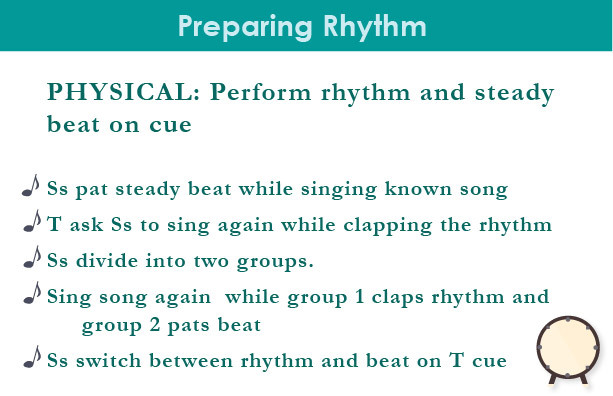 Use these pictures to help students practice rhythm vs beat visually. You can do this in small groups of 2 or 3, or together as a class. Clap the rhythm of a song and guide the class in asking how many sounds they heard on a beat. 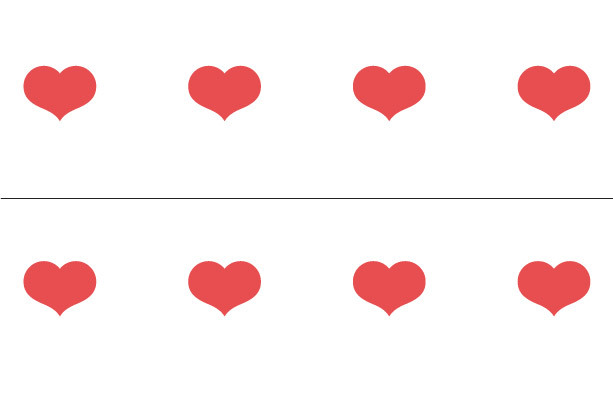 Place either one icon or two icons over each heart to represent the sounds. Each of these cards has the lesson outline we talked through above. I have a file where I keep lesson idea cards like this that are easy to pop into a lesson plan when I feel stuck. You can start your own file or save them to your favorite digital storage device like Evernote or Google Drive. You can download them in the Sheet Music Library. Just scroll down to "activity sheets". While you're at it, don't forget to print off the Rhythm vs Beat worksheets. They're available in the Sheet Music Library. Looking for more ways to practice rhythm vs beat?